The S&P 500 has been higher every single day since we last took a look at it a little more than one week ago. Back then, we noted the 15-minute chart of the index had formed a consolidating triangle pattern. It was nearing the apex of the triangle. So, we were soon headed for a big move one way or the other. It took only two trading days for the S&P 500 to gain 40 points and achieve the upside target of the consolidating triangle pattern. But, the bulls didn’t stop there. They charged higher every day last week. The index finished at 2893 on Friday. That’s a new recovery high for this rally, and it marks the seventh straight day of gains for the S&P 500. Lots of folks are betting the bull run will continue early this week. But, I’m not so sure. Notice that as the S&P 500 moved higher last week, key technical indicators like the MACD and the RSI actually declined. This sort of negative divergence is often an early warning sign of an impending decline. And since this is a 15-minute chart – and patterns on this chart tend to play out within one or two days – it has me on guard for broad stock market weakness early this week. 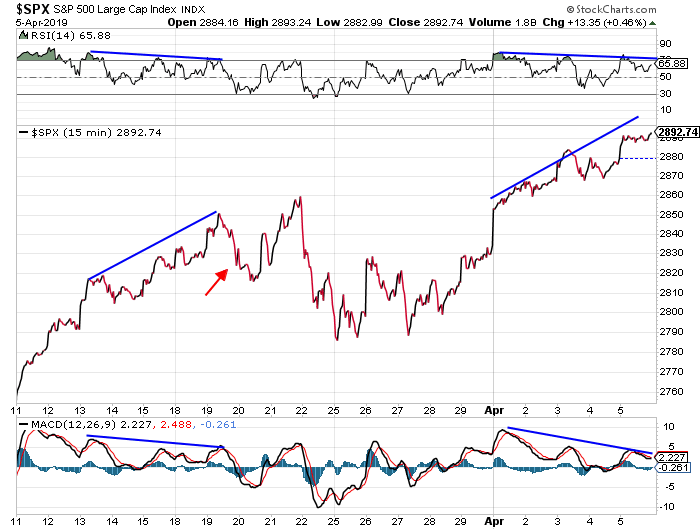 Notice how the chart showed similar negative divergence in the middle of last month. That pattern resulted in a two-day decline of about 35 points in the S&P 500. There’s a fairly good chance we’ll see something similar develop early this week. 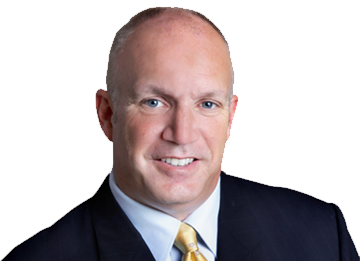 Editor’s Note: As regular Market Minute readers know, Jeff focuses on technical patterns to dictate the next move in the market. Today, Bonner & Partners’ go-to tech expert, Jeff Brown, takes a look at one sector in particular: artificial intelligence and machine learning. Tech companies are buying artificial intelligence (AI) companies at an astonishing rate. As you can see, some recognizable names are acquiring AI companies. Over the last five years, Alphabet – Google’s parent company – acquired 12 AI-related companies. Apple acquired 10. 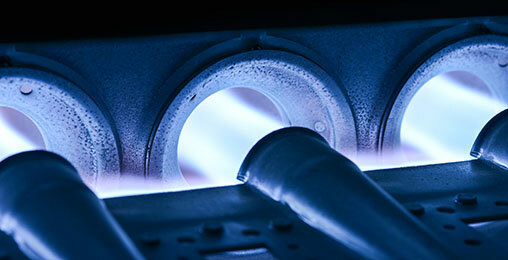 Chipmaker Intel purchased seven. 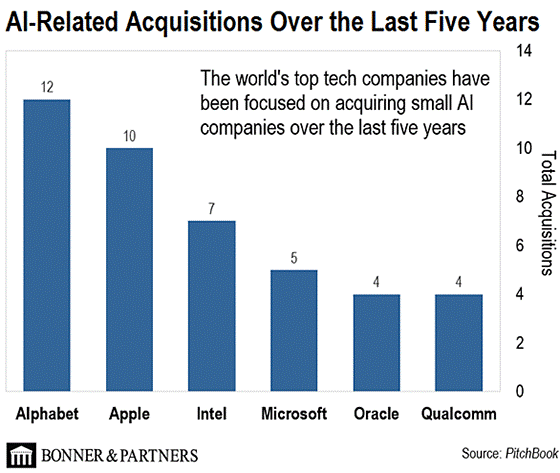 And that’s just the AI acquisitions from some of the “big names.” When you look at total number of acquisitions, the numbers are even more impressive. 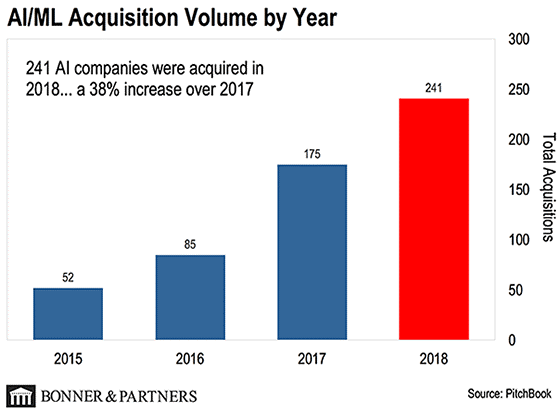 In 2018, we saw 241 individual acquisitions of AI/Machine Learning (ML) companies. That’s a 38% increase compared to 2017 and an increase of nearly 5x since 2015. Keep in mind that this is a relatively new industry. There aren’t many large AI companies around to acquire. Most of the activity is in smaller, early-stage companies that haven’t reached anywhere near $1 billion-plus valuations. AI is the most disruptive trend in technology right now… by far. During the Industrial Revolution, steam power and mechanization automated many of our repetitive, physical tasks. That led to a dramatic shift in the workplace. Machines took over many of the grueling jobs humans weren’t well-suited for. But rather than dooming humans to unemployment, this led to an explosion of productivity that ultimately created many more jobs than it took. This will cause another big shift in the workplace. It will lead to another leap in productivity, and it will create entirely new jobs that we couldn’t possibly predict today. That’s how powerful AI is. And that’s why the world’s top tech companies have been scrambling to acquire small AI companies over the last five years. Which charts do you use to determine where the market is headed? Which sectors have you been looking at?